Working hard to stay fit 365 days a year! I love breakfast. When I go to sleep, I don't go to bed with thoughts of George Clooney dancing around... I am thinking of what I am going to have for breakfast the next day. Though sometimes I would love to indulge in a greasy cheese omelet with sausage, bacon and the works, I have found a delicious, yummy breakfast that is much healthier and more satisfying. 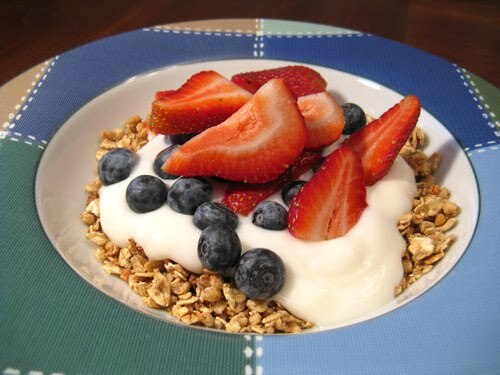 I have a nice sized bowl of low fat granola, with thick 0% Greek Yogurt, berries and FitFlax. FitFlax is a low carb and low calorie roasted flax and chia blend that is absolutely delicious. It has a nutty crunchy taste and it is loaded with Omega 3's and antioxidants. I call this my power breakfast as I had it everyday when I worked very hard to lose the 80 pounds (ouch!) I had gained when pregnant with my girls. This breakfast is filling, delicious and the FitFlax also helps make your nails, skin and hair look fabulous. I have this breakfast about 3 mornings a week now and find it keeps my full and energized till lunch! Too Much is Always Too Much! One slice of pizza is yummy. Too many slices is yucky! It is so easy when you are hanging out with friends and family to overindulge. 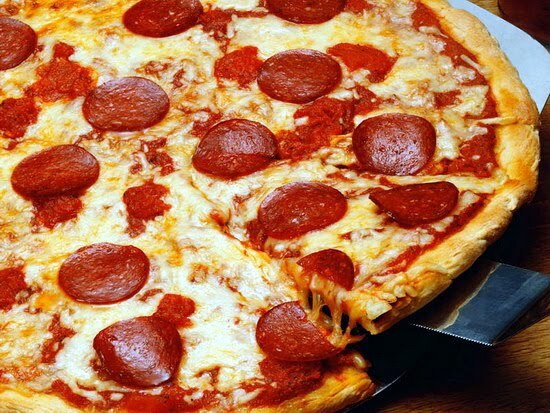 You're talking, having a good time and before you know it you have had 3 slices of pizza and have nibbled on countless other things. I woke up this morning and am ready to put my lazy pizza and cookie filled body to work. There is a Bikram Yoga class at 10 am and I will be there! It's not about being perfect. It's about enjoying your life and striving to be fit and healthy every day!